Neighborhood plans that do a great job prioritizing pedestrian safety and comfort; and a multi-modal transportation plan that includes solid baseline data, a project prioritization method, and recommendations that focus on infrastructure as well as programs. The city’s Complete Streets policy and ADA transition plan and self-evaluation help ensure that Evanston’s streets are designed for all users. The city has an advisory board that regularly reviews the transition plan and has the chance to update it every three years. Safe Routes to School programs at all 15 elementary and middle schools that are supported by multiple city departments. The first week of school is designated Evanston Walk Week by the city’s Health Department in cooperation with Aldermen and the school district. In 2011, the city traffic engineer and the police department worked with the school district to develop suggested walk/bike route maps for all schools. Women Out Walking (WOW) is a 12-week walking program that encourages women in Evanston to lead healthier lifestyles. The program, which is now in its twelfth year, is hosted by the city’s Health and Human Services Department. All the route maps are available online. Evanston Streets Alive! is an Open Streets initiative of Citizen’s Greener Evanston. The City of Evanston supported events have two main goals: increase overall levels of active transportation and collectively reimagine and repurpose public spaces. 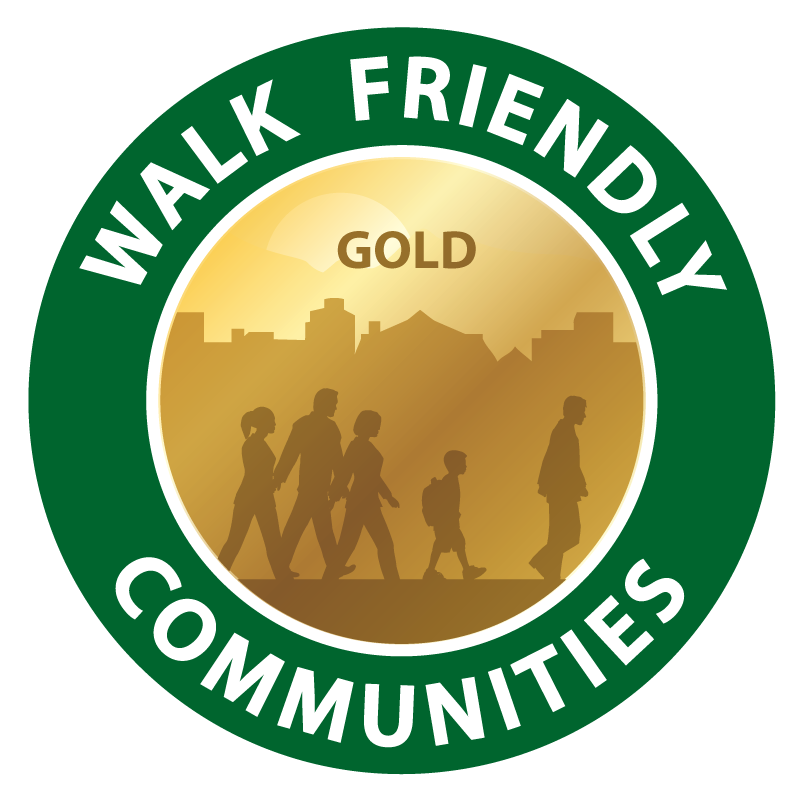 Evanston’s land use policies include lots of tools to promote and maintain pedestrian friendly development. Downtown and business districts clearly require commercial use on the ground-floor and density bonuses reward the installation of numerous public benefits, including below-grade parking and plazas for public use. In addition to excellent sidewalk coverage, the city has detailed inventories for sidewalks and curb ramps; and has made great progress repairing these elements to ADA standards.